The ADDIE process is past its prime. It was developed long before Agile and other iterative processes that have introduced greater efficiencies in design and development, fostered more creativity, and addressed effective stakeholder involvement. 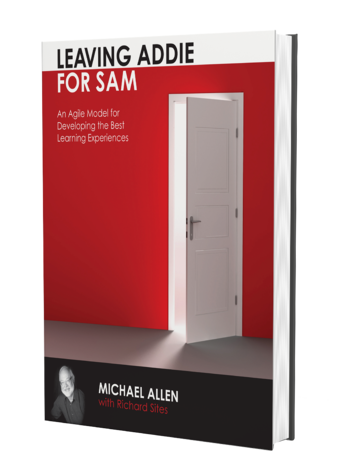 Leaving ADDIE for SAM introduces two new concepts—SAM, the Successive Approximation Model, and the Savvy Start. Together, they incorporate contemporary design and development processes that simplify instructional design and development, yielding more energetic and effective learning experiences. This book is a must-read for all learning professionals who have a desire to let go of outdated methodologies and start creating better, faster training products today. Michael Allen expertly outlines a bullet-proof case for a new and powerful design paradigm. I urge anyone teaching the traditional ADDIE model to stop what they are doing and read this book. It will change the way they approach and teach the design of instruction and improve the lives of learners everywhere. 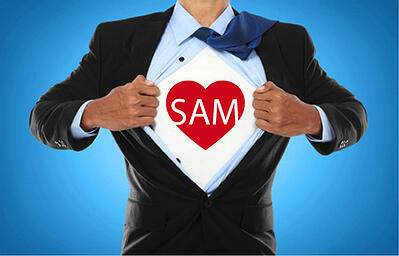 Become a Superhero With SAM, the Agile Learning Design Process!